Enocenta is an elegant calligraphic typeface created by Jeremy Dooley & Cecilia Marina Pezoa and published by insigne. This family font has five weights, set of alternates, swashes, ligatures, ornaments etc. It is recommanded for display, packaging, magazine, invitation. Enjoy! Note: “Enocenta” is a trademark of insigne. 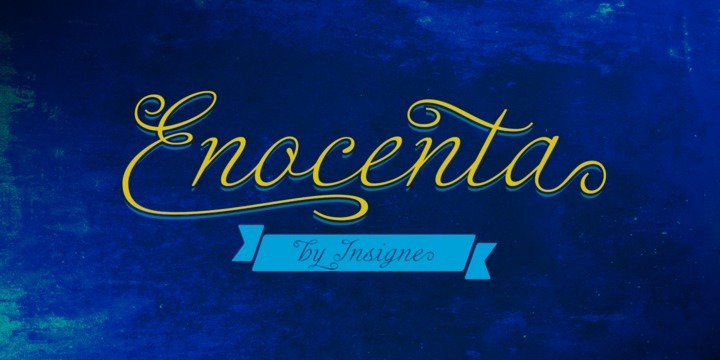 A font description published on Friday, August 30th, 2013 in Fonts, Insigne by Alexandra that has 2,966 views.